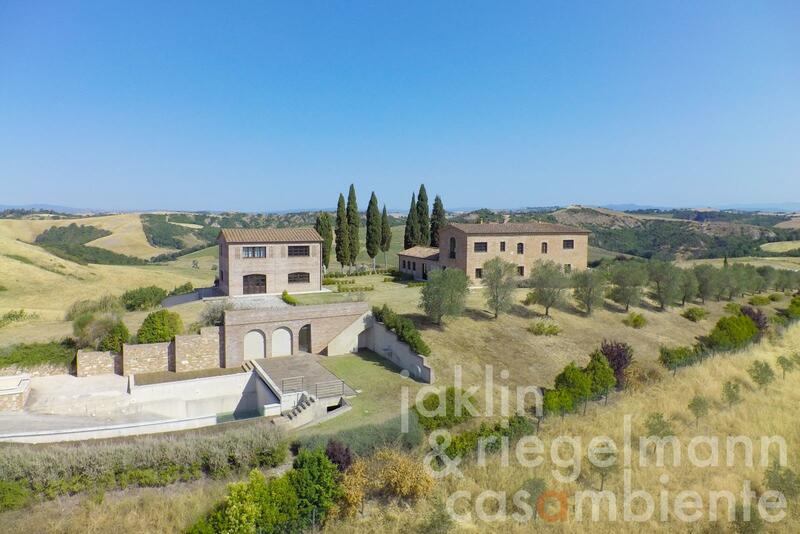 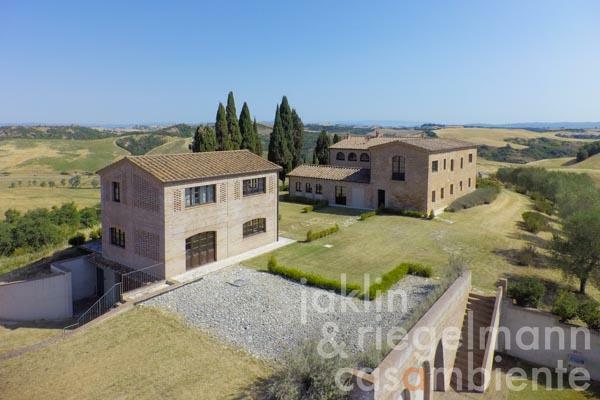 This amazing country house is surrounded by 4 hectares of its own grounds, on its own hill in the Crete Senesi near Siena. Originally a farmhouse, in recent years the property has been transformed into a luxurious country house consisting of a very large building, an additional building with two floors, and a spectacular pools landscape. All the materials used are of excellent quality and typical of this land, so that the property and its surrounding landscape draw inspiration from each other. 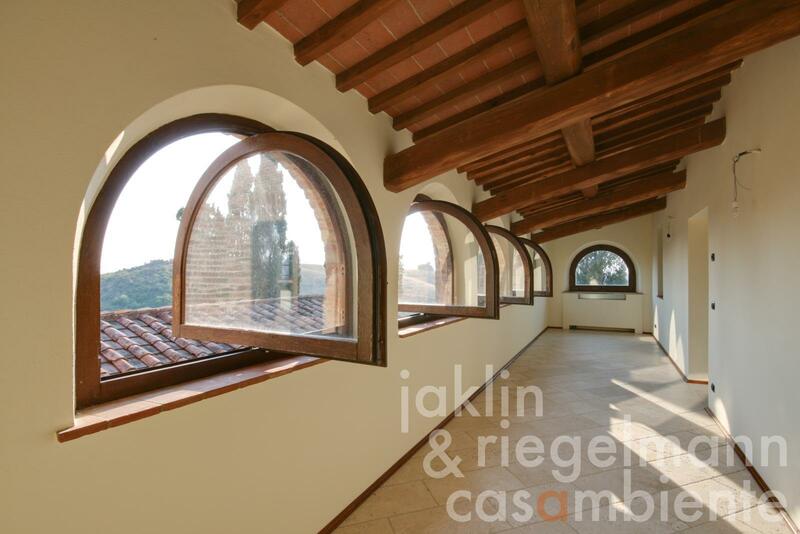 The main building, apart from the beautiful arcades on the ground floor and upstairs, features a lively "U" shape and offers broad and bright spaces. 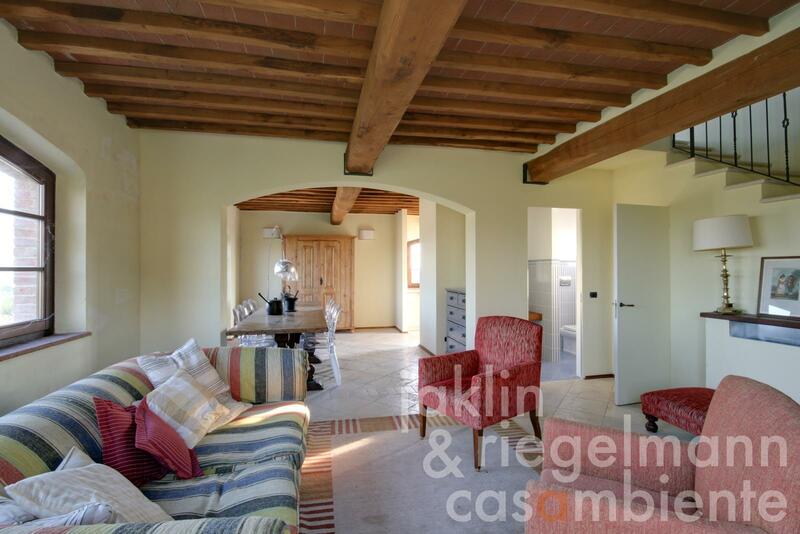 The living area, of about 500 m², is divided into 300 m² of ground floor and 200 m² on the upper floor. 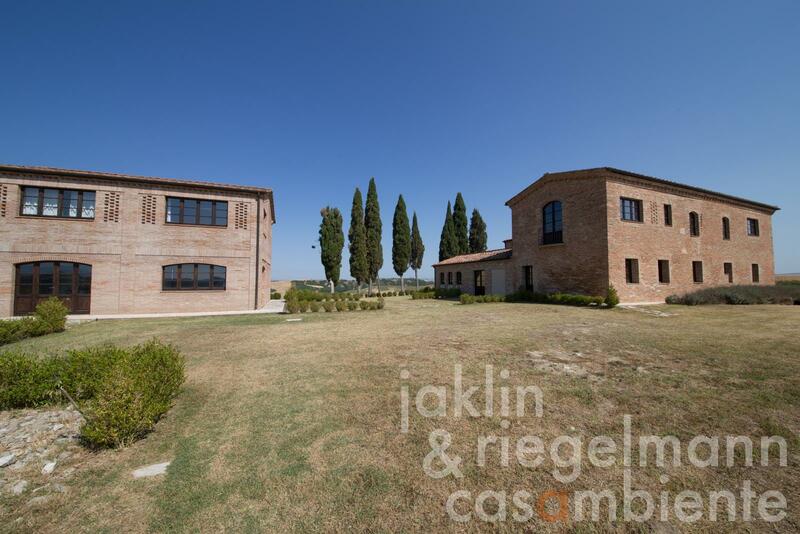 The ground floor has an open gallery, two large living rooms, a dining room with fireplace, kitchen, bathroom, bedroom with en-suite bathroom, and two closets. 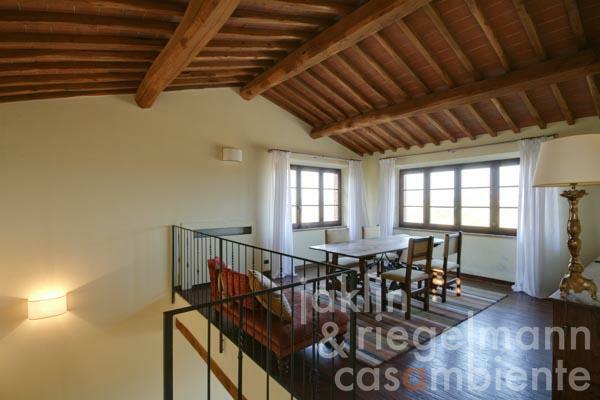 The upper floor also has a porch as well as three bright bedrooms, each with en-suite and one with dressing room. 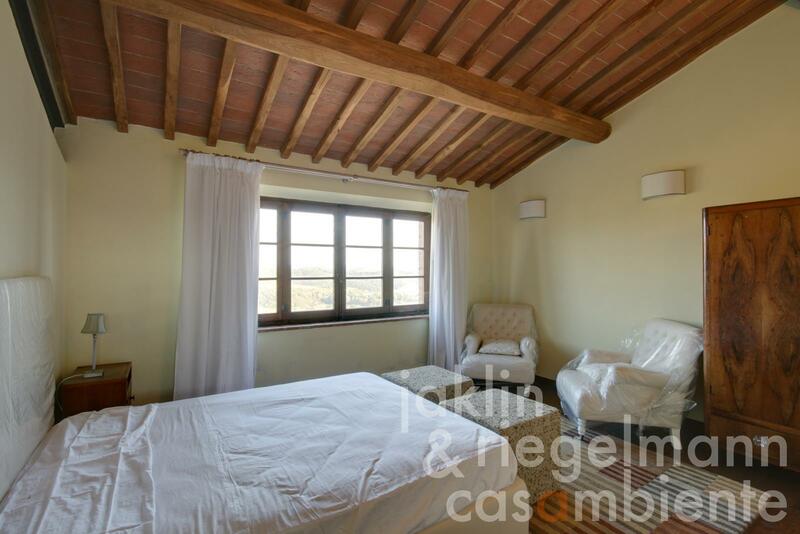 The bedrooms have jointed solid-wood floors while the living areas have mainly terracotta floors. The basement includes a usable area of about 70 m² with garage, cellar and boiler room. The out building offers a living area of about 120 m² of which 60 m² on the ground floor with living-dining room, kitchen and bathroom and 60 m² on the upper floor. There is a bedroom, bathroom and a living room which, if desired can be used as an additional bedroom. 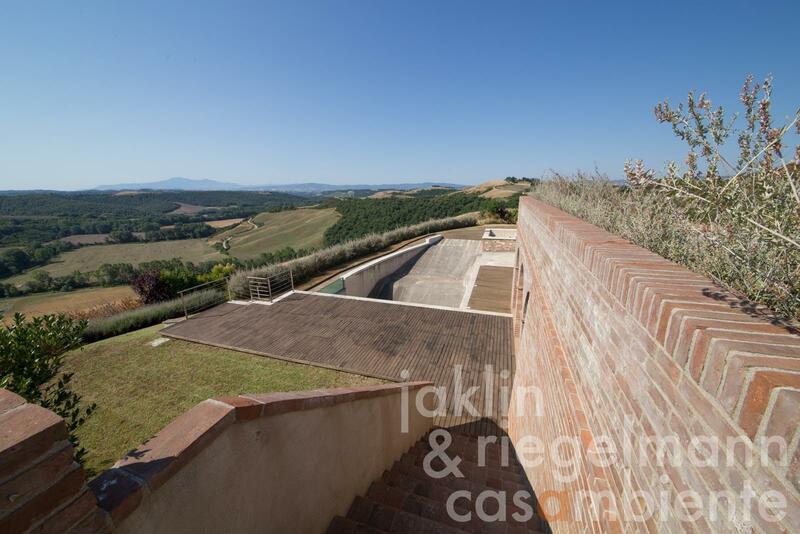 The usable area of the basement is about 90 m², with garage, cellar, boiler room and hallway to the pool. 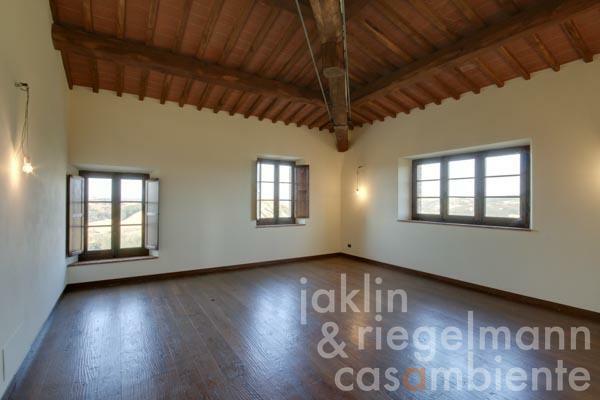 All the habitable floors of the property have under-floor heating. 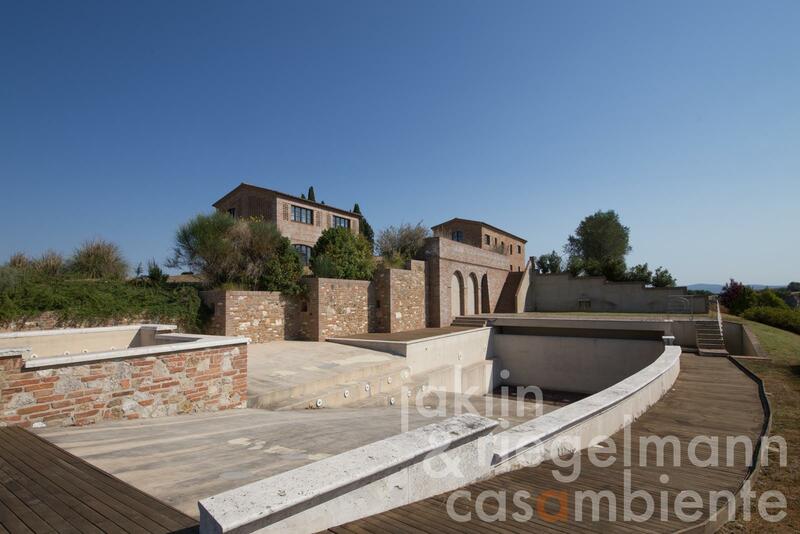 The garden-park, which has so far been set in boxwood and Mediterranean plants, is not complete. 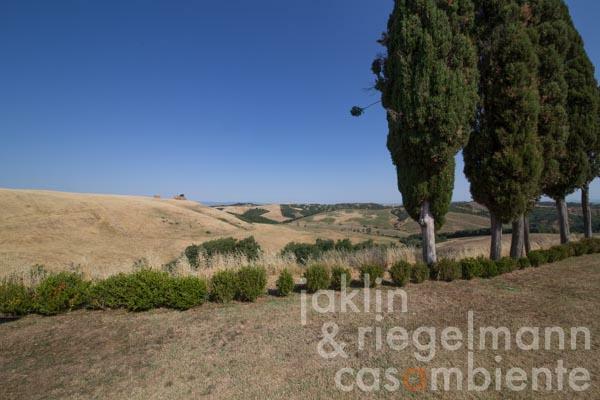 Old cypress trees lend great character to the property. The landscape of pools offers an area of about 160 m² with deep swimming pool, a shallow sunbathing area and a hot tub. 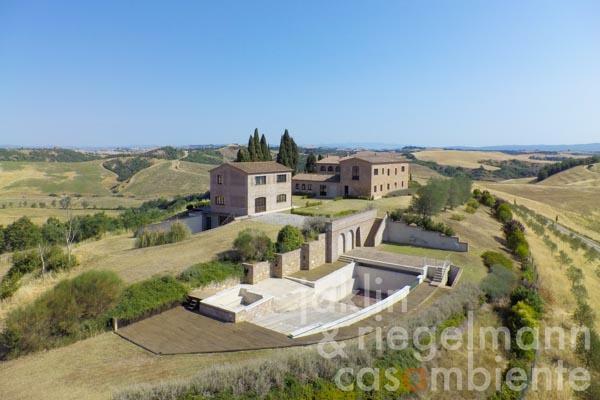 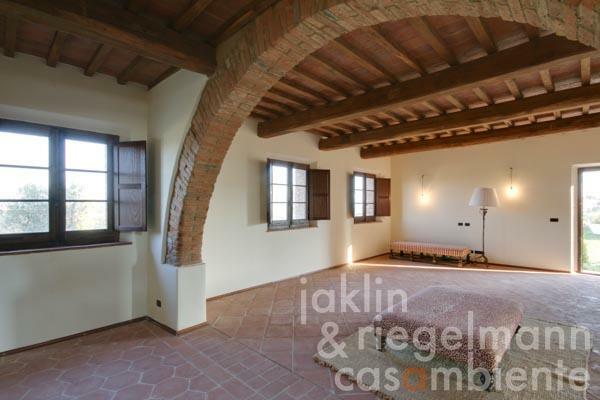 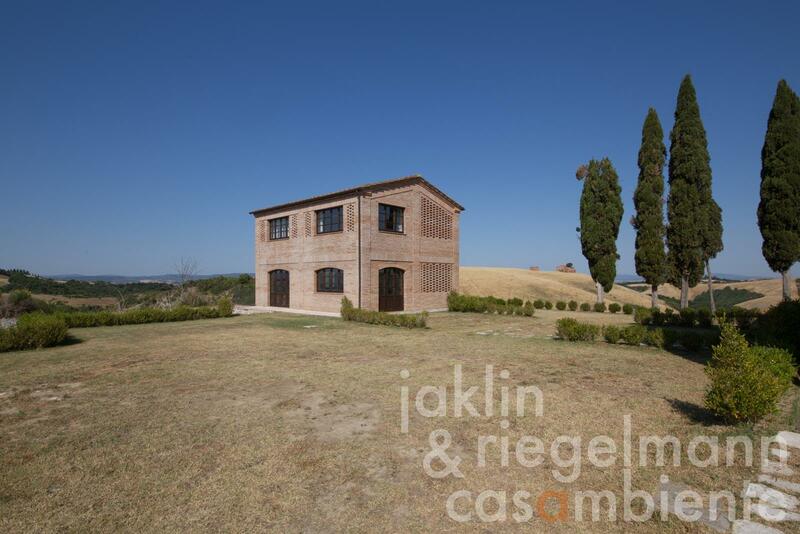 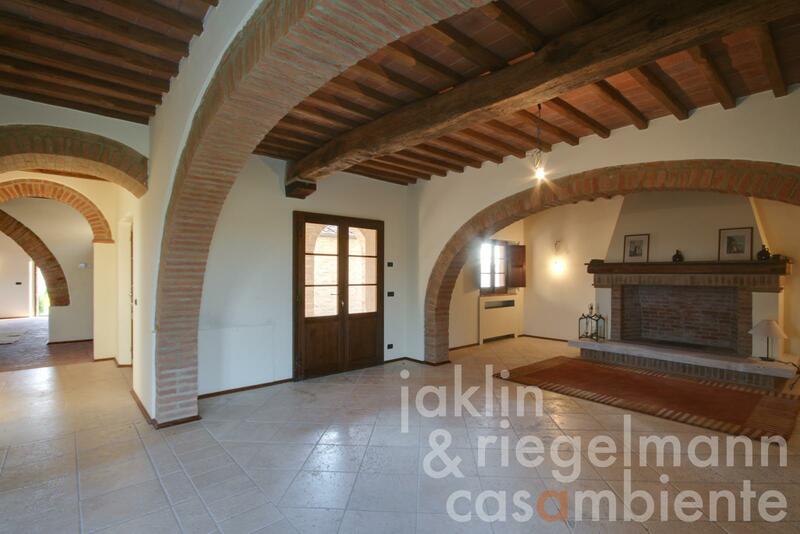 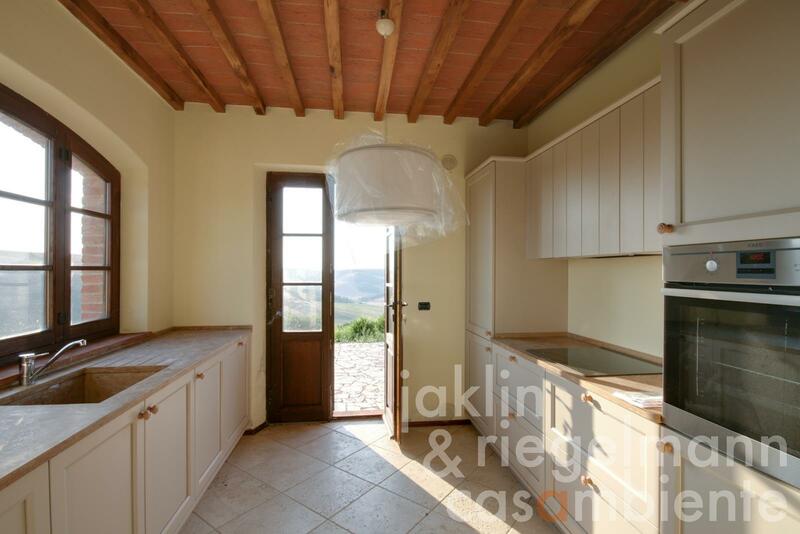 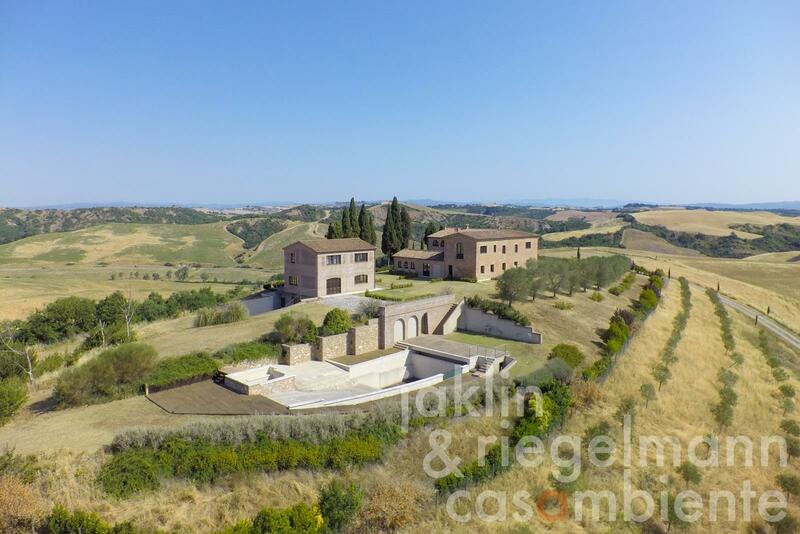 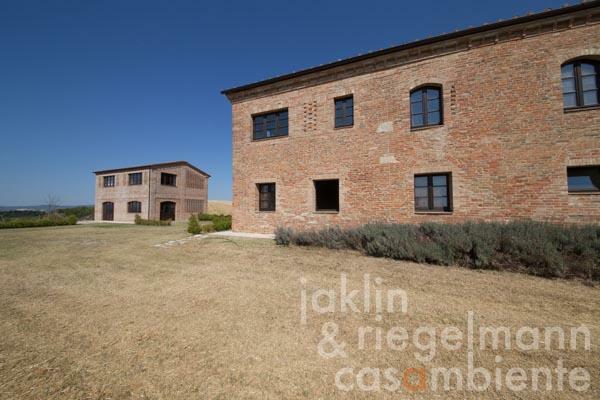 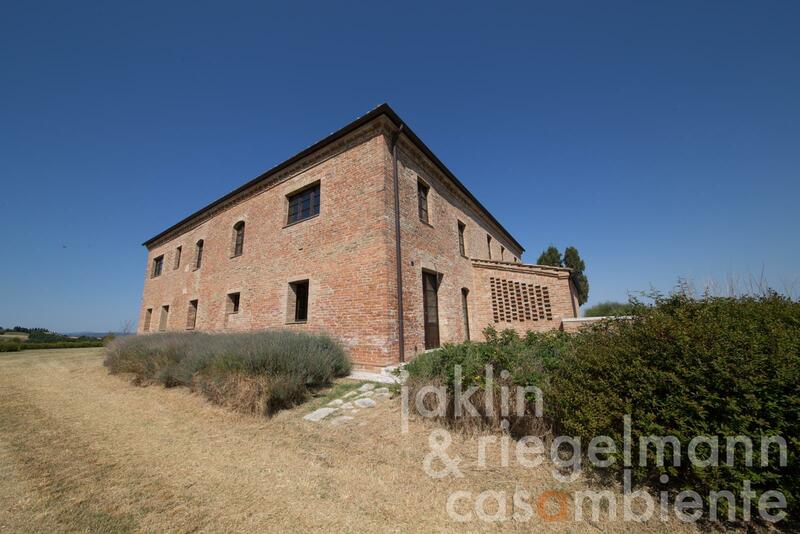 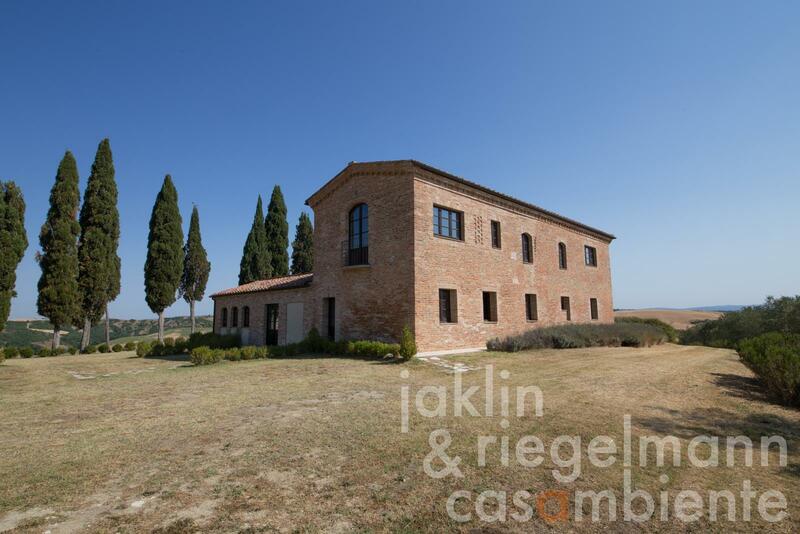 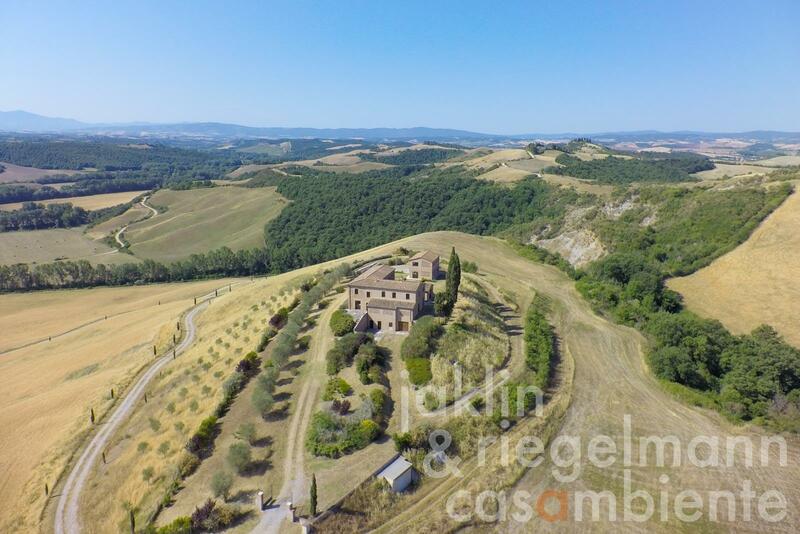 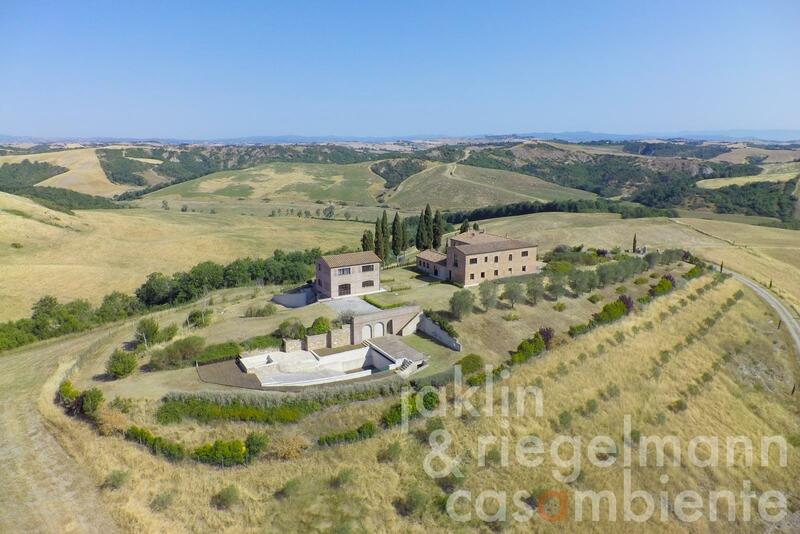 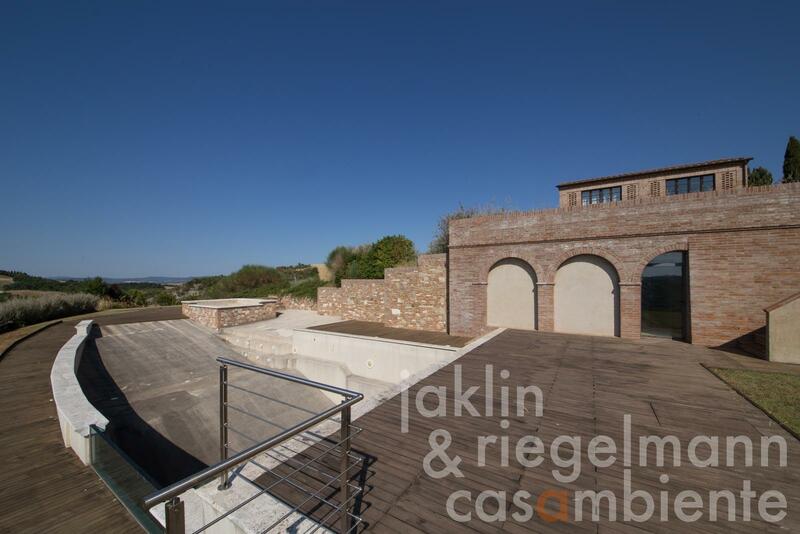 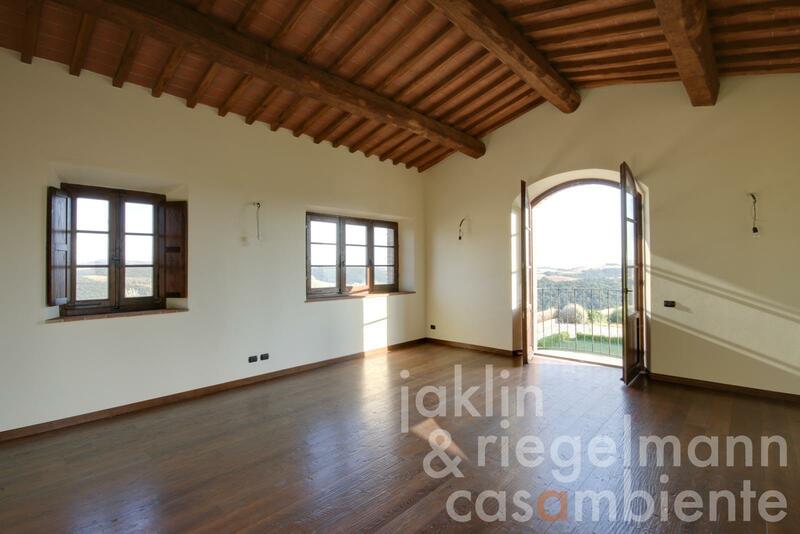 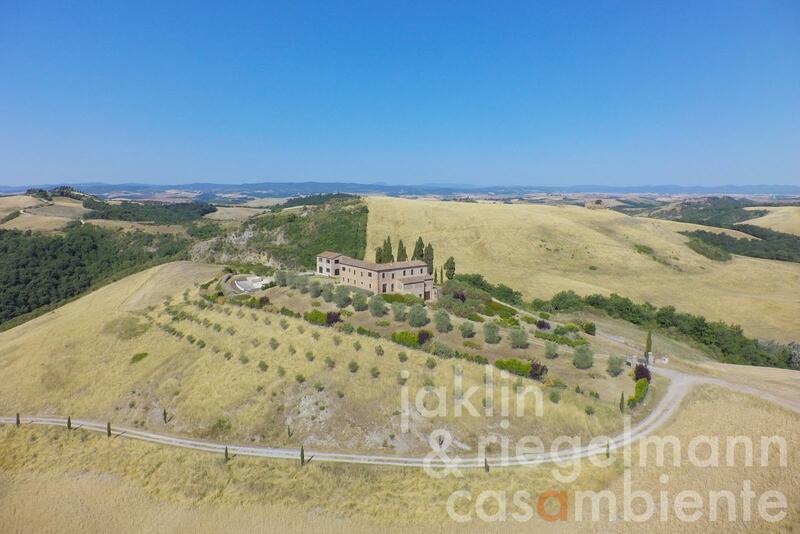 This is an out-of-the-ordinary property in a fantastic location close to Siena. 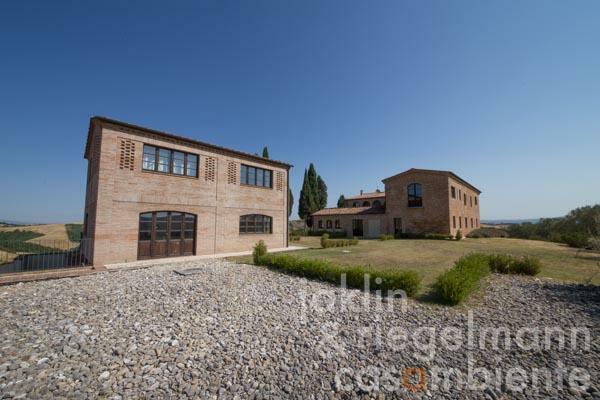 Electricity, mains water, central heating, underfloor heating, fireplace, gas connection, swimming pool, balcony, garage, private parking, terrace, garden.